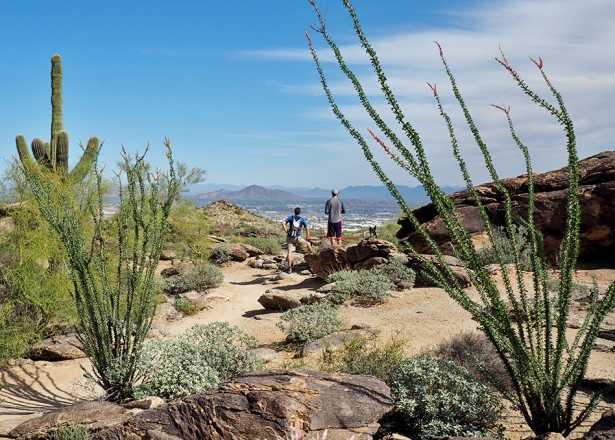 Whether you’re a long-time vegetarian or just looking to mix some greens or gluten-free meals in your diet, there are lots of great spots in Phoenix to choose from. 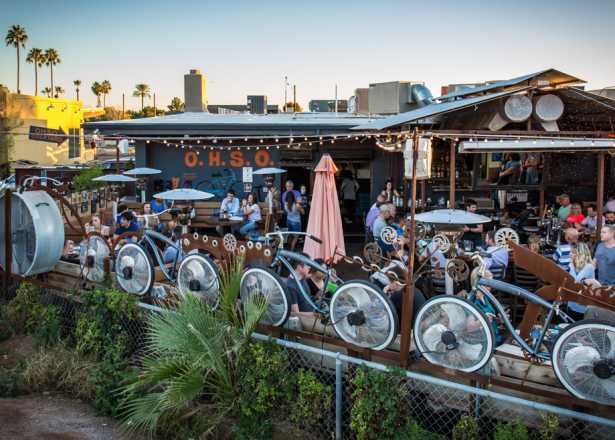 Get the details on these gluten-free, vegan and vegetarian restaurants in Phoenix. Comfort food, vegan-style: Chef Damon Brasch has created a menu influenced from a mix of cultures and cooking styles offering an authentic spin on vegan. This Ahwatukee favorite—now with a central Phoenix location—is known for their vegetarian takes on classics such as breakfast burritos, BBQ sliders and Philly melts (both made with portobello). This collaboration between Dr. Andrew Weil and local restauranteur Sam Fox (Update: True Food Kitchen is no longer part of Fox Restaurant Concepts) features seasonal menus focused on local, fresh ingredients, many of which come from local organic farms. 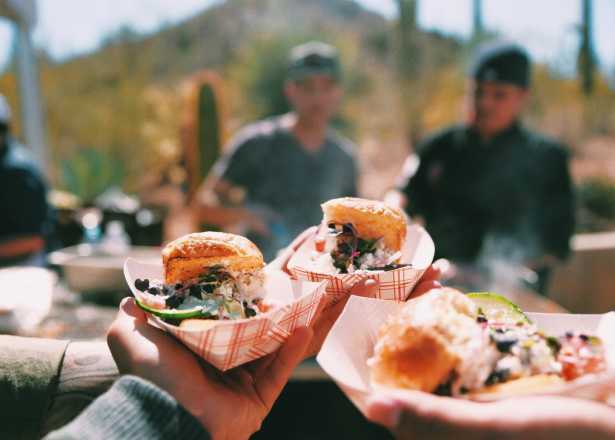 The menu features a variety of tasty vegan, vegetarian, and gluten-free creations, but also has meat and seafood dishes for the carnivores in your party. 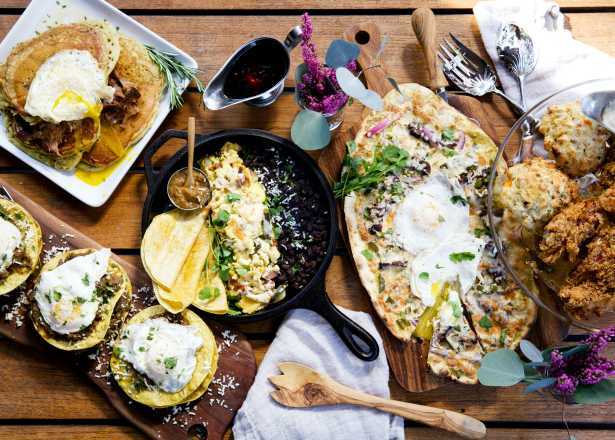 This East Valley spot features a plant-based menu sourced from Arizona farms and is open for breakfast, lunch and dinner. Kids get to eat their greens too with a special little bites menu. Chef Mahmoud Jaafari showcases Middle Eastern influences in his vegetarian and vegan made-from-scratch specialties. Join their food revolution and try Flower Child’s variety of salads, vegetable and grain plates, wraps, soups, and more. They offer vegan, vegetarian, and gluten-free options among their organic ingredients. Specializing in vegetarian, gluten-free and kosher dining, Fresh Mint puts a Vietnamese spin on vegetarian dishes. This award-winning spot brings Ethiopian cuisine to tables offering both vegan and meat options. Bring some friends and sample a variety of items from one of their platters. Udupi offers a wide variety of gourmet Southern Indian dishes, made authentically and entirely vegan and vegetarian. Not sure what to order? Hit up the fresh lunch buffet to sample house specialties from curries to dosai. It can be tough to eat healthy when you’re in a hurry and away from home, but GrabbaGreen is here to help. Pop in to one of their two locations and grab a ready-to-eat salad and bottled juice, or stick around for a few minutes and have them whip up a smoothie for you. This international company, with two greater Phoenix locations, has a vegan menu influenced by cuisines from around the globe. Vegan takes on banh mi, burgers, and Asian cuisine are all found here. This popular downtown gathering spot serves up seasonal breakfast, lunch and dinner made with ingredients often sourced by local farms and vendors. Need some veggies in your belly? 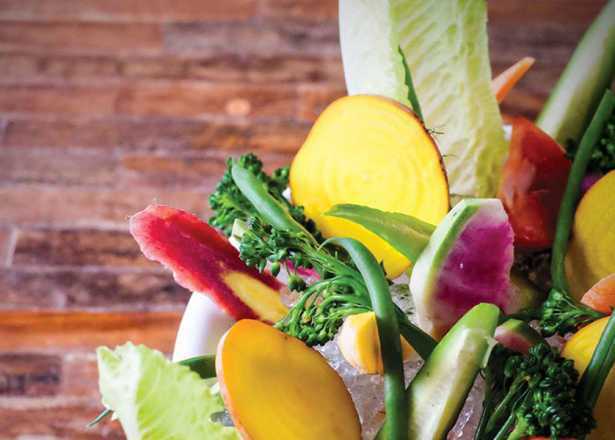 Get the Eat the Rainbow, a variety of farmers market vegetables served with three dipping sauces. All items at Nourish are gluten-free, soy-free and peanut-free, along with vegan, vegetarian, Paleo, raw and more options. In addition to serving a variety of breakfast items, salads, juices, burgers and more, the staff at Nourish can also help with meal planning and wellness and nutrition coaching. Find made-in-house gluten-free baked goods, plus salads, vegetarian sandwiches and more at this Arcadia neighborhood spot. This mother-daughter owned local restaurant offers plant-based options that will hit the spot. Curb your sweet tooth with an acai bowl or superfood smoothie, or go for something more savory like their build-your-own protein bowls. On the run? Stop by Phoenix’s TastyBox for a nutrition-packed bento box with vegan and vegetarian options. Choices change seasonally and by day of the week, so check out the menu in advance. 24 Carrots offers a guilt-free dining experience from beginning to end. The menu is crafted from scratch daily with delicious vegan treats. All ingredients are plant-based and ethically sourced. What started as a small food truck has expanded into a successful Gilbert eatery. This family-owned favorite offers completely plant-based entrees, including breakfast quinoa bowls and tempeh burgers. Many ingredients at Uprooted Kitchen are sourced directly from produce grown across the street in Gilbert&apos;s Agritopia neighborhood. Enjoy your favorite curries, noodles, soups and more thai specialties, prepared entirely vegan and vegetarian, at this downtown spot. Their produce is selected daily from nearby farmers markets and co-ops. With an ever-changing daily menu, you can keep coming back for something fresh at this Tempe restaurant. 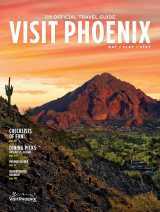 Desert Roots Kitchen puts an emphasis on global cuisine that uses local, farm fresh ingredients. In addition to being vegetarian and vegan, they cater to gluten, soy, dairy, and nut allergies. Check their online menu every morning at 10 am to see what Desert Roots Kitchen is serving up. This veggie-centric eatery is a restaurant, coffee shop, and a bar all-in-one. Savor their rosemary-mushroom biscuits and gravy or their grilled squash sandwich while sipping on a Horchatte, their popular latte made with vegan horchata. 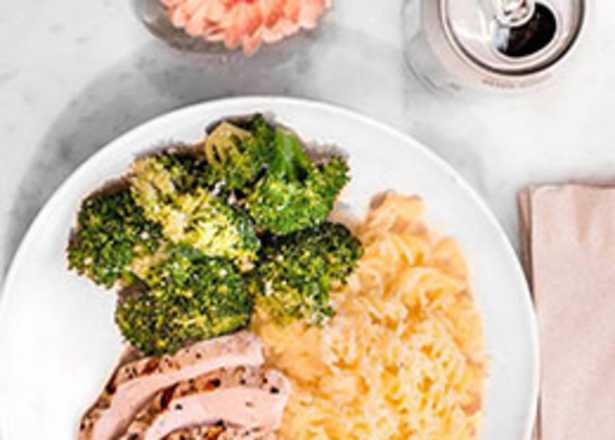 These Instagram-ready dishes are as photogenic as they are delicious; so snap a pic before you dig in.